At the start of this course it is necessary to go over some computer basics. In this lesson, I will take a quick look at each of the components of a computer system. Monitor - this is the viewing screen that you use to operate the computer. It is a very important part of the digital photography computer. The form factor refers to the shape of the computer itself. Each of the form factors offer some advantages and some disadvantages. In general, larger computers can offer better performance at a better price. But it is no longer necessary for a digital photographer to use a giant desktop tower to get the imaging work done. Newer laptops can offer very good performance at a reasonable price, and the advantages they offer in portability make them the best choice for many photographers. 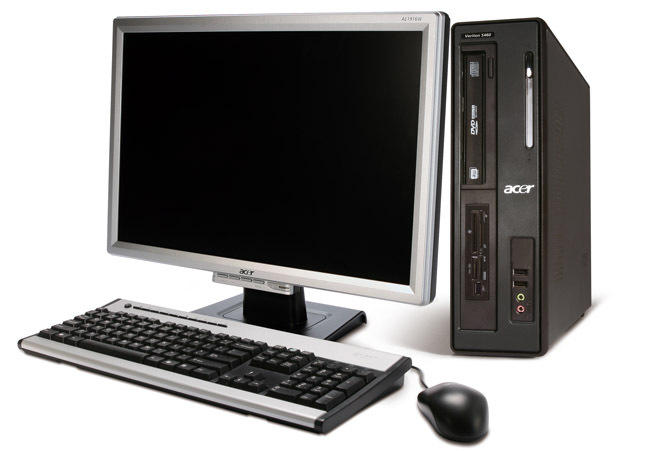 A desktop computer typically refers to one where the processor and the storage drives are contained in a big box, while the keyboard and monitor plug in separately. These machines will generally have several advantages. The performance-per-cost will generally be better than smaller computers, this makes them faster. Desktop computers typically use 3.5 inch hard drives, which generally offer more capacity, at higher speeds, for less money than laptop-sized drives. Desktop computers often allow the installation of more than one hard drive. This can be critical for digital photographers who need to store lots of image files. Desktop computers often come with faster processors or processors with more cores. This can significantly increase the speed of your imaging activities. Desktop computers often provide for 'expansion' capabilities. Additional 'cards' can be installed that improve image processing, add new storage connections, or offer sound and video capabilities. Within the last few years, laptop computers have become fast and capable enough to be the primary image-processing computer for the digital photographer. They also offer great portability, which can be important for the location photographer. 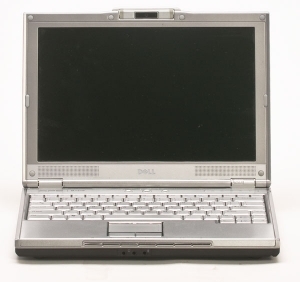 Compared to a desktop computer, a laptop will have certain limitations. These can make your work slower, as well as limiting the storage capacity of the computer. All of these limitations are compared to a desktop computer of the same cost and date of manufacture. Although these are generally important limitations, they may be much less important than the gain in portability that a laptop offers. In the last few years, a new type of laptop computer has appeared: the netbook. 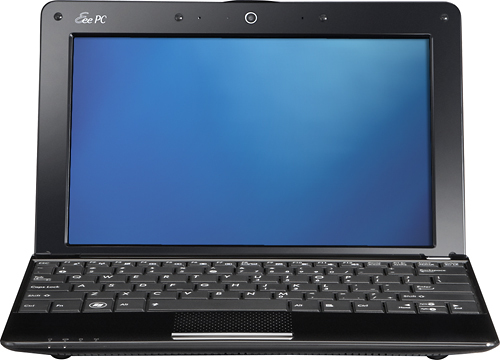 Netbook computers are small versions of laptops, designed primarily to be used to surf the internet. It may be possible to do some imaging work with a netbook, but running software like Photoshop or Lightroom may not work. Outlined below are the typical drawbacks of a netbook compared to a conventional laptop. Tablet computers are simple low-power computers like the Apple iPad. At the moment, tablets are pretty limited in what they can offer as far as a digital photography imaging computer. Like a netbook, a tablet is optimized for use in conjunction with the internet, and is designed for low power draw. As such, they are typically more useful as a presentation tool, or for use in conjunction with another computer than as a stand-alone imaging device. Like all of computing, however, they will only get cheaper and more powerful as time goes by. Many companies believe that the future of publishing will be tied to the use of tablet computers. A tablet is a great tool for the consumer to use to access electronic publications, particularly ones that are a mixture of text, photos and motion imagery. Th processor is the part of the computer that does the actual computing. The speed that the computer can run an operation - such as sharpening an image in Photoshop - is largely determined by how fast the processor can make calculations. There are three parts to determining how fast a processor can do its work: clock speed, number of cores, and chip generation. A core refers to part of the processor that actually does the calculations. One way that computer chip makers have increased the speed is by adding additional cores. A dual core processor can, in theory, run operations twice as fast as a single core processor of the same design and clock speed. Making use of multiple cores is, however, not as clear as you might think. In order for a dual core chip to be twice as fast, the software (such as Photoshop) needs to split the computing tasks into two even streams. In most cases, this is not particularly efficient, so you do not see nearly the speed increase that multiple cores might suggest. Multiple cores can make some computing tasks go quickly, and for others, there is no speed increase at all. In many cases, both clock speed and number of cores is less important than the chip generation. Every few years, the companies that make processor chips will redesign the entire chip architecture to make them faster. Sometimes the clock speed of the newer chips will be slower, even as the real-world speed of the chip increases. Intel's Core 2 Duo chips that run at 3 GHz, for instance, will run Photoshop slower than an i7 chip running at 2 GHz, because the i7 is a newer generation. There are 2 main chip manufacturers, Intel and AMD. If you want to find out what the latest generation of processor is from each company, you can click on their names and read up on Wikipedia. As of April 2011 when this is written, the latest Intel chips are the i5 and i7 models, and the latest AMD chips are called Phenom II. Random Access Memory (RAM) is a critical performance component for computers. When a computer boots up, opens a programme, and then opens a file, it loads these elements into RAM to do the work. When your computer opens an image file in Photoshop and loads it into RAM, it has quick access to the image data. When you do something to the file in Photoshop, it can make the change quickly, since it already has all the information nearby. In general, you want to have as much RAM in your computer as you can afford. If you are running a 32 bit operating system, then each program can make use 2GB to 3 GB of RAM. If you have a 64bit OS, then each program can use as much RAM as you have available. A video card or Graphics Processing Unit (GPU) is the part of the computer that connects to the monitor. The GPU takes the video image and puts it in a form that can be displayed on the monitor. In most laptops, this is built into the system and cannot be replaced. In most desktop computers, the GPU fits into a slot on the motherboard, and can often be upgraded. GPUs are specialized processors that are designed for displaying images. A computer processor (like those discussed above) will have 1 or 2 stream of data. But a GPU is designed to process all the pixels on a screen very quickly, so it needs to be able to handle a lot of parallel streams of data. You can think of it as a specialized computer that is built to draw images quickly. In recent years, imaging software has begun to take advantage of the capabilities of GPUs, and can use them to make your imaging work go faster. You can think of it like a little 'helper computer' that is already installed in your system. It knows how to do just one thing - process images - and it can do that very quickly. Programmes that can take advantage of this capability are said to be GPU accelerated. Like many parts of computing, however, the promise does not always turn into reality. There are some places where GPU acceleration works well, and some where it adds no additional speed. If you are processing video, making use of GPU acceleration is going to be a big help. If you are running a still photo application, then most of the time it will not make much difference. The most widely supported form of GPU acceleration at the present time is CUDA, which has been developed by the GPU manufacturer, Nvidia. While it does not offer much additional speed for Photoshop, it is a significant help for Premiere Pro CS4 and CS5. Every computer needs a storage device to store the operating system, programmes and files. In the vast majority of cases, this is provided by one or more hard drives. Most computers have at least one internal hard drive, and they have the capability to connect to external drives. Most computers also have the ability to read and write optical disc like CD, DVD or Blu-ray. These are used for loading data and programmes on and off the computer. Digital storage is a critical part of any computer system, and using storage properly can be the difference between keeping your photos and losing them. For more information, take the course on digital storage and backups. Computer development has followed something called 'Moore's Law' for several decades. Gordon Moore wrote in 1965 that computer power would double in capacity every year, on average. This means that the processor speed, RAM capacity, and storage capacity all get faster, bigger and cheaper with each passing year. In most cases, the result is that the prices stay the same, but what you get for the price is much better. From a practical standpoint, this often means that it is advantageous to replace your computer equipment regularly, rather than trying to upgrade it. A cheap laptop today will generally be better than even the most expensive laptop from 5 years ago. In the Macintosh product line, for instance, any current Mac - even the least expensive - will be faster than any G5-era machine - even the top of the line ones. As you consider whether to upgrade your computer, be mindful of the improvements in speed and capacity that newer machines offer.